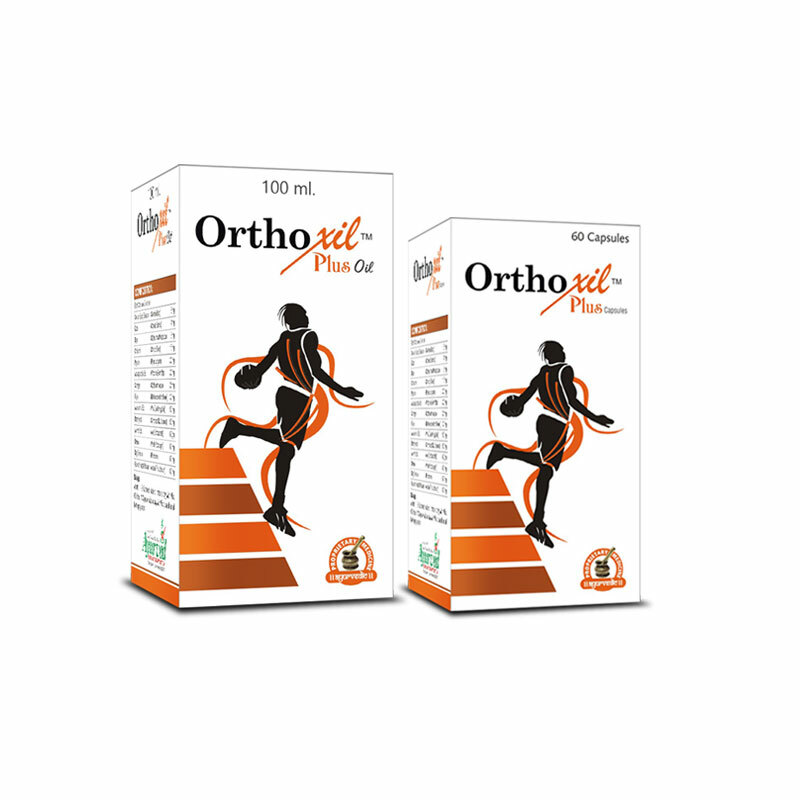 Orthoxil Plus oil is a uniquely formulated herbal anti-inflammatory arthritis joint pain relief oil that relieve arthritic symptoms like pain, stiffness and weakness in joints. Thousands of men and women suffer with arthritis every year, there are over 100 different forms of this disorder and rheumatoid, osteo, gout, infectious etc. are most common types. The causes of different forms of this disorder are different too, like RA is caused due to rheumatism and OA due to bone degeneration but symptoms more or less remain same, all forms of this disorder cause pain, inflammation and stiffness in joints at earlier or later stage. All forms of arthritis are progressive, if not treated the symptoms of this disorder keep on aggravating and lead to immobility. At the onset this disorder causes lethargy, weakness and pain in joints which in a short time also adds-up stiffness and inflammation. The pain, stiffness, weakness and inflammation keeps on increasing and gradually joints become unstable and deformed to promote immobility. Most forms of arthritis cause morning sickness which makes coming out of bed difficult and also cause redness, warmth and tenderness in joints. 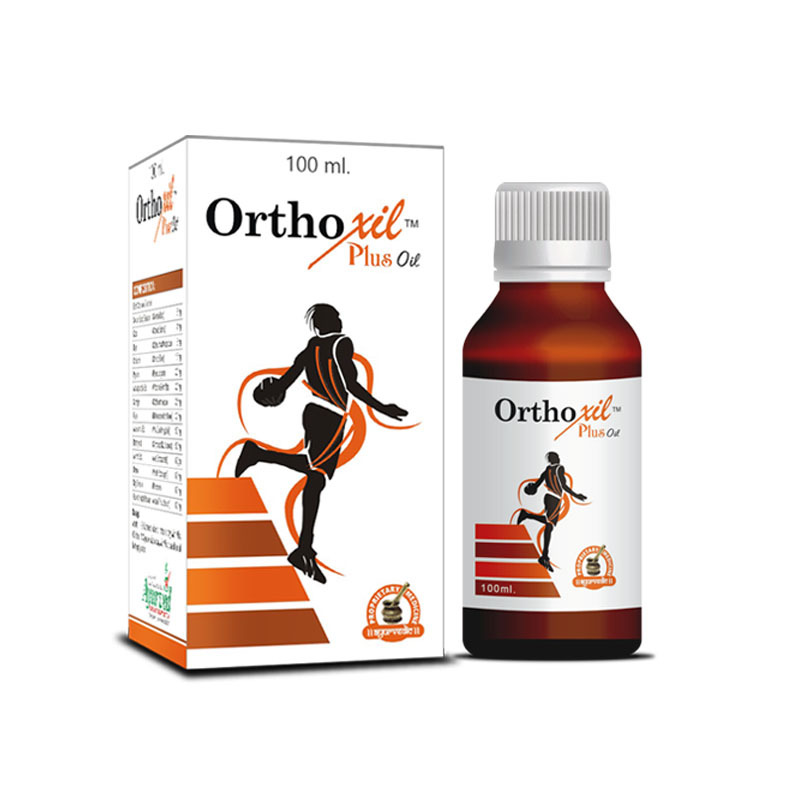 Orthoxil arthritis joint pain relief oil is highly beneficial herbal supplement to relieve arthritic symptoms like pain, stiffness and growing weakness in joints. Orthoxil Plus oil is natural anti-inflammatory oil which curbs pain and inflammation and promotes movement, the powerful herbs and herbal oils present in this natural anti-inflammatory oil relieve even severe pain in a short time and allows a person to move and perform activities. 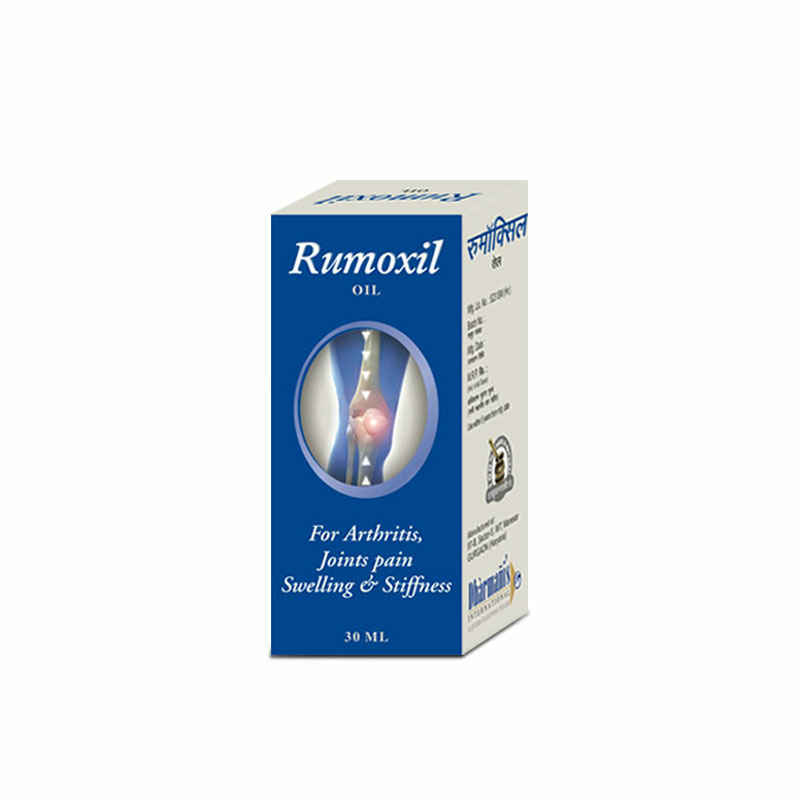 This arthritis joint pain relief oil diffuse swelling, relieves redness and treats tenderness too effectively and reduces intensity of symptoms of disorder. By curbing pain and inflammation this natural anti-inflammatory oil allows patient to overcome stiffness and perform his or her daily activities. Regular movement also works well to curb arthritic symptoms and check progression of this disorder. Use of this natural anti-inflammatory oil is widely recommended, not only because of its wonderful abilities to curb arthritic pain and inflammation but also due to its amazing abilities to reduce intensity of the problem. Apart from promoting movement this herbal arthritis joint pain relief oil on regular use energize and improve strength and endurance of joint organs. Stronger and healthier organs of joints improve performance of these body-parts and make them capable of bearing more pressure and weight. Use of this herbal arthritis joint pain relief oil by energizing and strengthening muscles, ligaments and cartilages minimize ill-effects of arthritis to a large extent and allow a person to lead normal life despite of this debilitating disorder. This natural anti-inflammatory oil is purely herbal and safe for men and women of all ages; it is mild on skin and even after prolonged use does not cast any side effects. Arthritic symptoms show up as this disorder either causes bone weakness, muscular weakness, damage ligaments, tendons or damage cartilages to make joints painful, swelled and stiff. At the onset the ill-effects of this disorder promote weakness and lethargy in joints, even after simple activities like walking, climbing stairs etc. joints cause pain and get stiff, getting-up after rest becomes difficult and even sitting from standing position etc. become tougher day by day. All forms of arthritis cause these symptoms by disturbing delicate formation and mechanism of joints. Orthoxil arthritis joint pain relief oil provides relief by reversing pain and inflammation and by strengthening organs and mechanism of joints. Joints are places in the body where two bones meet, the ends of these bones are covered with cartilages and these bones are kept at right place by ligaments, muscles are attached to these bones through tendons and these muscles contract and relax to make joints move. 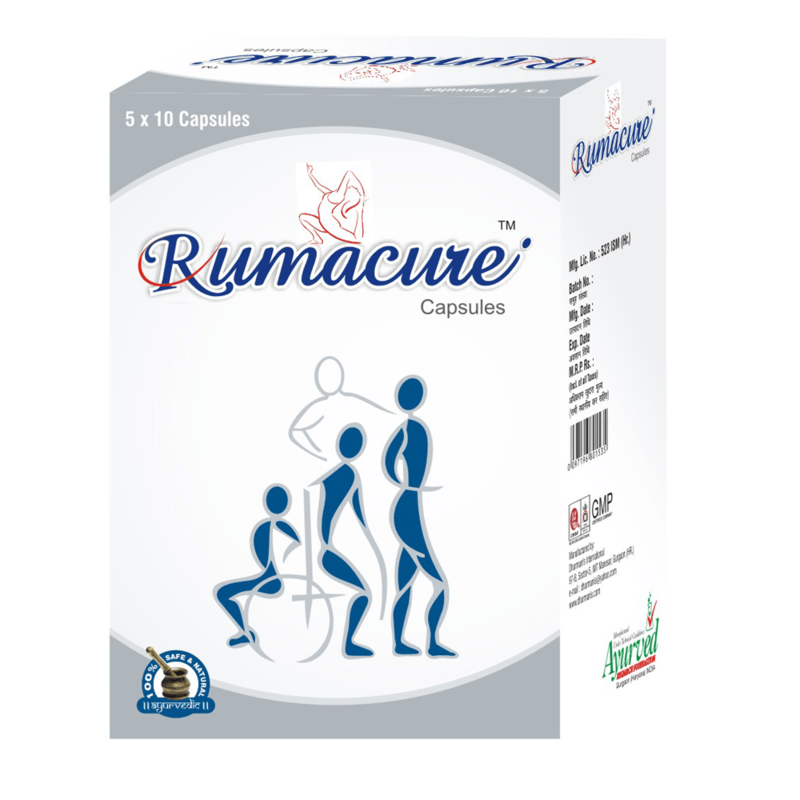 Entire joint is covered in a capsule which is filled-with synovial fluid.This fluid keeps cartilages flexible, healthy and nourished to maintain smooth joint movement. Different forms of arthritis by weakening bones, muscles, ligaments and tendons or by damaging cartilages and contaminating synovial fluid make joints stiff, painful and immobile. Bone shedding damage cartilages, it allows bones to touch each other and cause friction during movement to cause severe pain and inflammation; contaminated synovial fluid, infections in fluid and presence of uric acid crystals also damage cartilages to make joints painful stiffer and immobile; weak muscles become painful and swell after performing simple movements to make joint movement painful; weak ligaments allow bones to rub each other and disturb joint mechanism. These arthritic symptoms at the onset make joints weak, stiff, painful and lethargic and gradually lead to deformity and immobility. 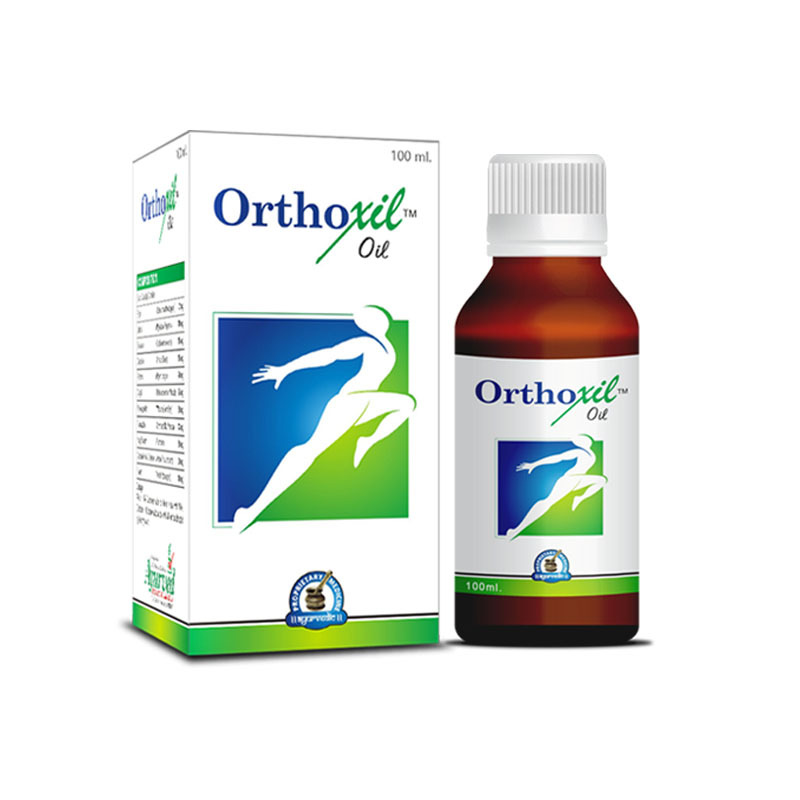 Orthoxil natural anti-inflammatory oil for arthritis relieve initial symptoms and check progression of this disorder to keep a person active and mobile for longer period in life. Arthritic symptoms can be controlled by strengthening bones, muscles, ligaments and tendons, and other organs, and by repairing damaged cartilages. Orthoxil arthritis joint pain relief oil is widely recommended for arthritic patients because of its wonderful abilities to provide these benefits. It not only relieves pain and inflammation but also enhance movement and endurance of joints to perform better without causing trouble. Progressing symptoms of this disorder reduce range of joint motion, the growing stiffness does not allow joint to move up to its optimum range. Orthoxil arthritis joint pain relief oil not only relieves pain and inflammation but reduce stiffness to increase range of motion as well. Orthoxil arthritis joint pain relief oil possesses herbs and herbal oils in perfect combination, these herbal oils seep through skin pores and affect underlying organs, the herbs present in this arthritis joint pain relief oil have wide ranging properties which relieve pain, stiffness and inflammation and also strengthen organs to check arthritic symptoms and damages. This natural anti-inflammatory oil possess herbal ingredients which numb pain-signal carrying nerves to brain, this reduces even severest of pain and allow a person to make movement. Other herbs present in this natural anti-inflammatory oil for arthritis possess strong anti-inflammatory properties, these herbs and herbal oils diffuse swelling and also allow smooth flow of blood. Higher blood flow supplies nutrition and oxygen to cells and promote tissue regeneration. Higher blood flow also allows immune system to reach the affected part and promote repairing and healing process. Faster rate of regeneration of tissues and healing process repair damages caused by disorder and strengthen vital organs like tendons, ligaments and muscles to improve joint stability, strength and performance. Orthoxil natural anti-inflammatory oil for arthritis by promoting faster rate of tissue generation also speeds-up process of cartilage repairing to maintain smooth movement. By improving reach and effects of immune system it keeps synovial fluid clean and clear of infectious agents and crystals of uric acid and protects cartilages from damages. By repairing damaged cartilages it re-establishes healthy joint mechanism, remove stiffness, suppresses pain and inflammation by treating root cause of the problem, healthy cartilages, ligaments and muscles increase range of joint motion and also its capacity to bear more pressure and weight without showing signs of lethargy or stress. Orthoxil natural anti-inflammatory oil for arthritis by improving reach of immune system and by supplying more oxygen and nutrition, enhance nerve functions as well to provide better control over movement of joints, these benefits of this natural anti-inflammatory arthritis oil treat conditions related to nerve functions like fibromyalgia, neuralgia etc. too effectively. 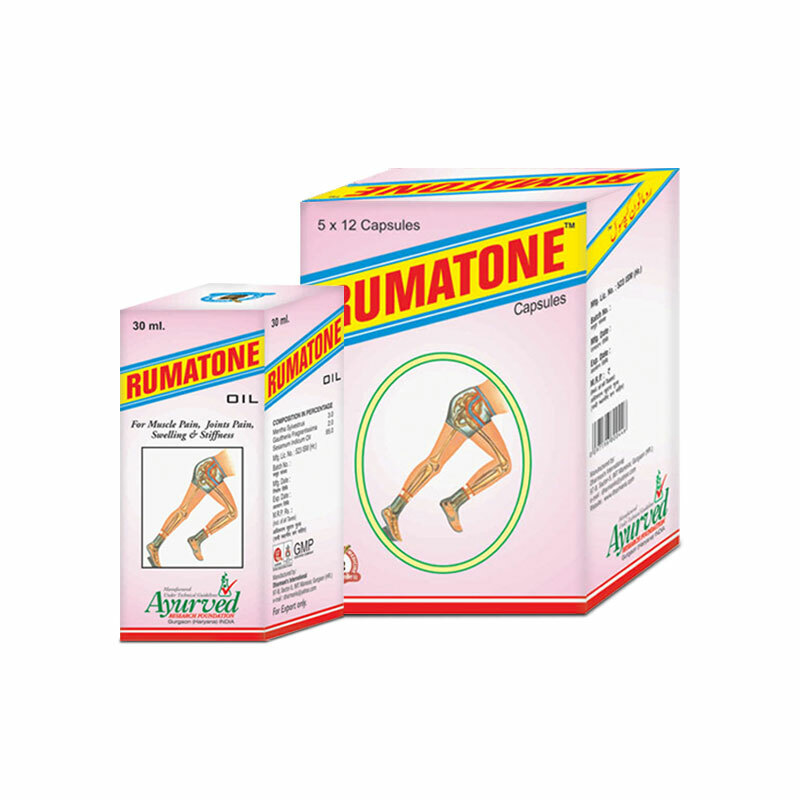 Regular use of this arthritis joint pain relief oil provides immense relief from pain, inflammation and stiffness; it increases strength and endurance of joint organs and also increases range of joint motion and its capacities to bear weight and pressure. Use of this anti-inflammatory oil for arthritis treats tenderness and redness and also alleviates warmth in joints. This oil curbs pain and inflammation due to injuries, over-use, sudden pressure or jerks to maintain smooth bodily movement and performance. Is this anti-inflammatory oil safe to use? Orthoxil arthritis relief oil is purely herbal.It contains no artificial substance or material which makes it safe for use even for prolonged duration. This oil is safe even for those males and females who have sensitive skin. What are the ingredients of this massage oil? Orthoxil arthritis relief oil possess herbs and herbal oils as ingredients which are – Ashwagandha, Asthisanhar, Arand, Rasna, Nirgundi, Guggul, Nagkesar, Piplamool, Haldi, Akarkara, Long oil, Jaiphal oil, Gandhpatri oil, Gandhpurna oil, Peppermint oil, Tarpin oil, Kapur oil, Arand oil and Buleylu oil. It is easy and simple to use this oil. Take 10 to 15 drops of this oil and massage the affected part with light hand, let skin absorb the oil and repeat twice in a day. This arthritis relief oil curbs pain and inflammation to promote movement in a short time. It is difficult to predict any general timeline for everyone, though this oil can show immediate relief from pain and inflammation each time yet to gain all the benefits one needs to be patient as arthritis cannot be treated overnight. It is recommended that this arthritis relief oil shall be used for at least 3 to 4 months on regular basis. Using this oil for substantial duration allows herbs and herbal oils present in this oil to show their maximum benefits. Orthoxil oil provides numerous other benefits apart from relieving arthritic pain and inflammation. 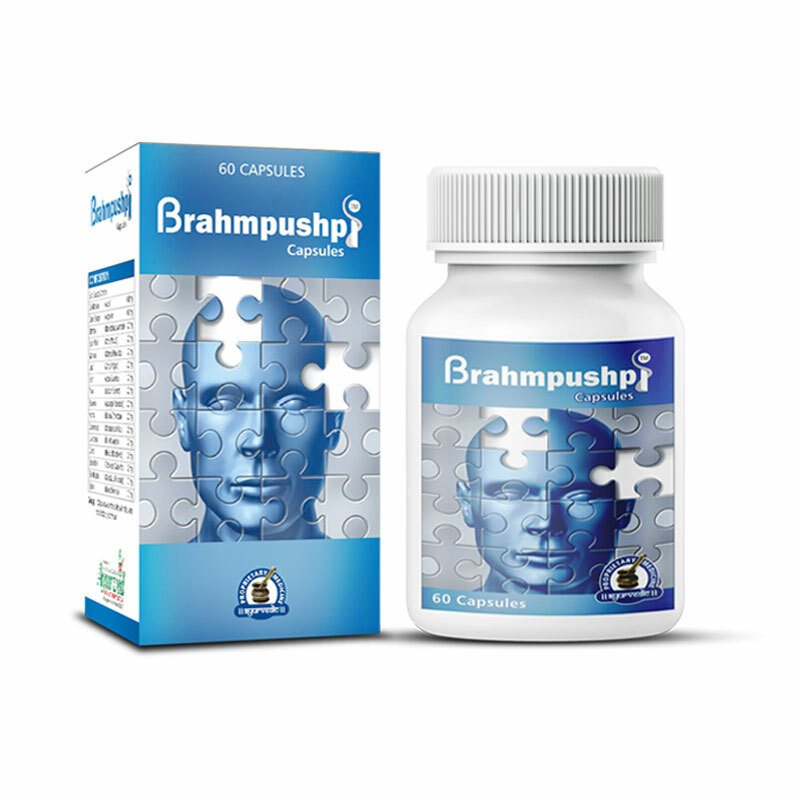 This enhances joint endurance and strength and keeps a person fitter, active and agile. This is very useful for ageing individuals who may or may not be suffering with any disorder to stay active and perform normal activities. The use of this oil is also very effective for women as they are prone to suffer with bone weaknesses which harm joint mechanism too. People leading strenuous lifestyle or in sports or other types of physically demanding activities can use this oil for keeping body’s musculoskeletal system healthy and strong and free from injuries. This arthritis relief oil prevents weaknesses in joints due to other disorders like diabetes etc. as well effectively. It can become really painful to go through this arthritis pain every day so I decided to go for the herbal treatment. I couldn’t feel any better. I even applied oil every day and was finally able to have long lasting relief. 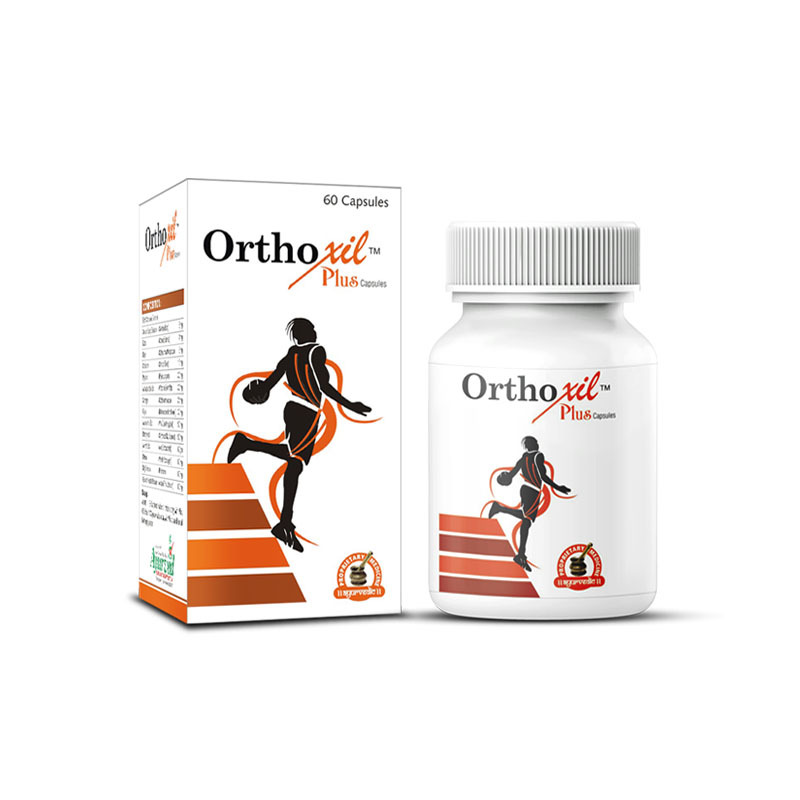 Orthoxil Plus capsule is an effective herbal arthritis joint pain relief treatment made up of powerful herbs which on regular use provide long lasting relief from pain, stiffness and swelling.